The Runway Revolution at the New York's 2015 Fashion Week! Whenever "fashion" is being talked about, the inner drive in us sparks and it comes naturally. It is probably because of our admiration and passion about this industry even to the minutest detail, including simple trinkets and other accessories. Hence, the inclusion of "Fashion" category in our blog site. Fashion especially in runways particularly in fashion capitals of the world such as New York City among others, is still being associated with glamour and beauty, catering to “fit” models who are tall, pin-thin, young and pretty. While this concept may still be true up to now, the recent Fashion Week (of which the culmination is today, September 17th) in New York have changed quite a bit to consider social consciousness, awareness and responsibility. Fashion is not only meant for the young, slim and beautiful but also individuals with disabilities, career oriented people, young urban professionals and achievers who love fashion. This is a wonderful achievement on the part of the fashion industry to embrace everyone regardless of race, creed , age, gender, ability, size, etc., and this is where NY runway shows have never been this so inclusive. Although, we have yet to see the most looked up to and famous fashion designers (YSL, Nicolas Ghesquiere, Hedi Slimane, Raf Simons, Marc Jacobs, Michael Kors, Donna Karan, Vera Wang, etc.) 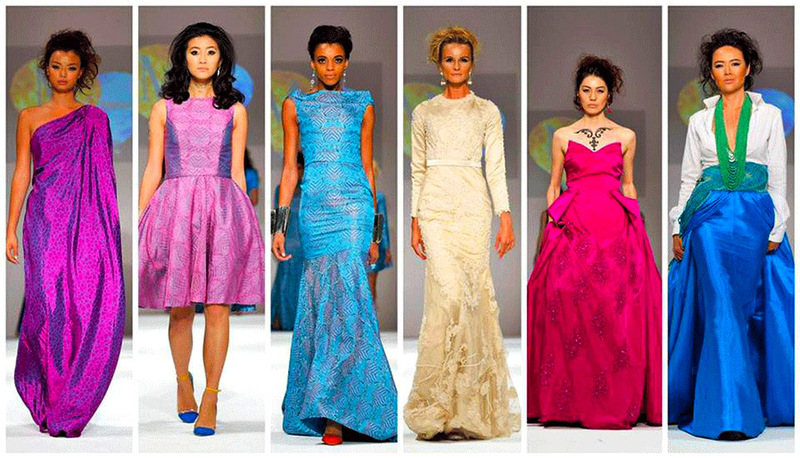 who dominate the runway to bravely allow others to showcase their talents and skills. One person with disability whose participation at the NY Fashion Week (under FTL MODA) and which had gone viral on the web and in tri-media is Madeline Stuart who has a Down Syndrome. Early this year, Jamie Brewer (actress, activist and model) likewise with a Down Syndrome appeared in Carrie Hammer's Role Runway Models last February. Rebekah Marine who is also known as the “Bionic” model, an individual with an impaired arm likewise took the catwalk at the New York Fashion Week. Similarly, other personalities who are considered achievers in their own fields were visible in the runway shows in New York last February, namely: Shiza Shahid, Malala Fund co-founder, Kimberly Bryant, Black Girls Code co-founder, and Maria Correia, World Bank sector manager, among others. Some successful professionals endowed with brains and beauty likewise have been given the privilege of strutting the runway under Malan Breton's (a known designer from Taipei, Taiwan, and currently residing in New York City) Spring Summer Collection at the New York Fashion Week. One of Malan's models is Amy Kao, a beauty titlest herself, who was crowned as the Miss Stars and Stripes of 2014 and a successful career woman connected with a known international-based consulting group was given the opportunity to participate in the said event. As posted on her Facebook page, Amy indicated that she was so “honored and humbled for this opportunity to walk the runway for this incredible collection and represent Taiwan!” Amy in her tweens is also involved in charity fund raising events in the U.S. Indeed, the fashion runway has evolved into a more inclusive of individuals not only with disabilities but those who have established a name in their respective fields, a different way of revolutionizing a sophisticated industry, an unarmed fashion revolution, so to speak. Incidentally, My Useful Tips blog last year relative to the Philippine Fashion Week of 2014 cited that it was the first time in the history of the fashion world that persons with disabilities, in this case, visually impaired ladies got the chance to display their catwalk skills with the assistance of their “white canes”. It was mentioned in the same blog article that hopefully the fashion capitals of the world such as New York, London, Milan and Paris would follow suit. And Ohhh YES, they did!